Save the date! On June 16th 2018, CymaSpace will be making history. The Northwest Deaf Arts Festival (NWDAF) will bring together top national Deaf artists who share a vision for an inclusive & innovative multi-sensory cultural extravaganza made equally accessible for Deaf & Hearing Allies. For the first time in recent times, Portland Oregon will be placed on the map as a premiere destination for national and emerging local Deaf talent who will perform live on stage, backed by the latest sound visualization and tactile technologies. 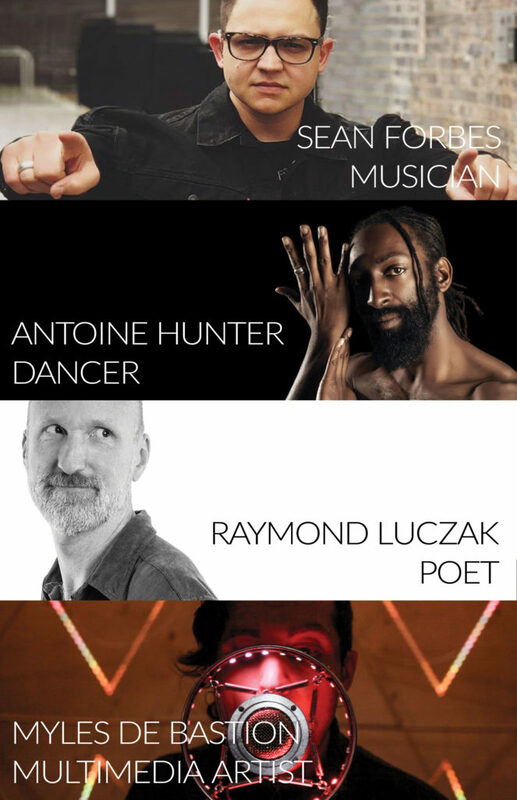 The festival line up includes nationally renowned Deaf hip-hop artist Sean Forbes (Deaf & Loud/DPAN), and dance sensation Antoine Hunter (Urban Jazz Dance troupe) & Raymond Luczak (ASL Poet & Writer) and Myles de Bastion (Multimedia artist). NWDAF is produced by CymaSpace, a Portland based nonprofit consisting of passionate Deaf & hearing community advocates who volunteer year-round to facilitate cultural events inclusive of the Deaf and Hard-of-Hearing. CymaSpace engineers & artists lend their skills to develop a variety of art installations and stage sets that synergize sound, light, and vibration. The work of CymaSpace has been featured nationally on Jimmy Kimmel Live, as well as at festivals like What The Fest?, PDX Winter Light Festival, Kentucky DeaFestival and in prominent local institutions such as Portland Art Museum and Oregon Museum of Science & Industry (OMSI).